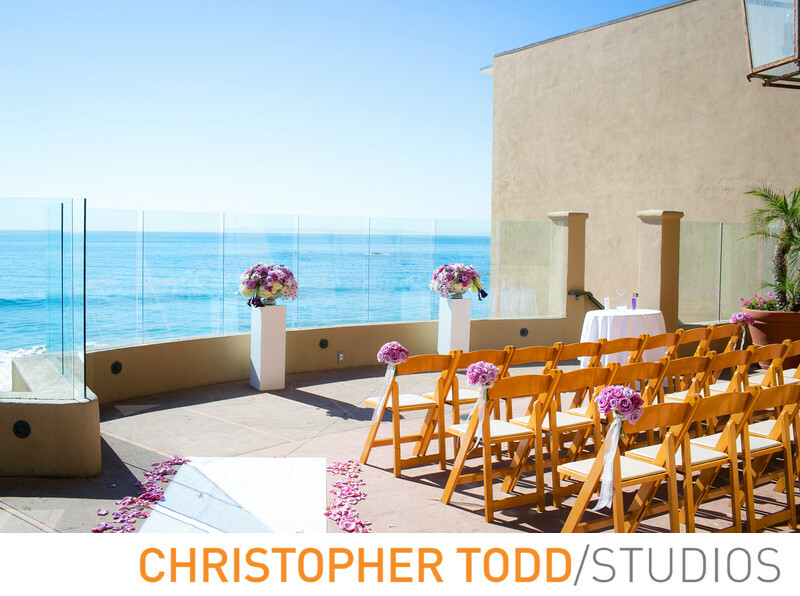 At Surf and Sand Resort in Laguna Beach wedding photographers take photos of ceremonies with a front seat overlooking the ocean. Wedding guests are treated to a luxury ceremony overlooking the Pacific Ocean. After the bride and groom arrive and exchange wedding vows we go on a quick photo shoot with just the newlywed couple. This is the time we get the romantic photos after the ceremony while the guests enjoy the cocktail hour. Location: 1555 S Coast Hwy, Laguna Beach, CA 92651. 1/200; f/8.0; ISO 100; 35.0 mm.